On 16 March 2018, EFIP members gathered in Seville (Spain) for their annual General Assembly meeting. The meeting was hosted by the Port of Seville, located in the heart of the metropolitan area of Seville. On the occasion of the event, Angel Pulido Hernández, the Director of the Port of Seville highlighted the main strength of the Port of Seville, as the only inland seaport in Spain: “The Port of Seville is exceptionally situated in southern Spain's main metropolitan area with a surrounding population of over 1.5 million, and boasts intermodality based on ideal connections between ship, train and truck within the public port facilities.” He also said that the Port of Seville is “a priority port for the European Union, part of the Trans-European Transport Network (TEN-T) and an instrument for regional competitiveness”. In that sense, the Director also encouraged the EFIP members to collaborate actively in European projects in order to face new challenges for inland ports and optimise hinterland connections. The theme of the interactive open session was “The strength of seagoing inland ports, crucial interfaces between the maritime and hinterland leg”. Key questions during this session were: ‘which challenges are faced by seagoing inland ports?’, ‘how to adapt the maritime leg and how to optimise the hinterland position?’ and ‘how to deal with the IWT limitations?’. Firstly, the case of the Port of Seville was presented by Angel Pulido Hernández, the Director of the port. He introduced the different projects that have received European funds for improving maritime and land accesses, for example, AIRIS or FPSII, based on the application of new information and communication technologies in port management. Secondly, Mr Panayotis Christidis, Team Leader Transport Sector Economic Analysis at the Joint Research Centre in Seville gave a presentation to the EFIP members. He discussed challenges for (inland) ports from the EU research policy point of view. And Finally, Mr Geert Van Cappellen (Secretary General, PIANC) discussed the changing circumstances and how to reshape the (inland) ports and their infrastructure for new challenges. 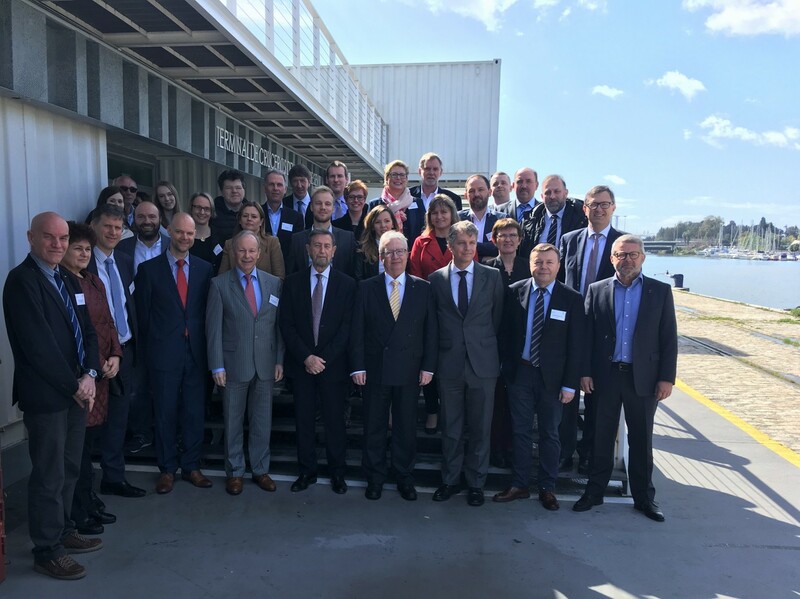 The European Federation of Inland Ports (EFIP) brings together nearly 200 inland ports and port authorities in 17 countries of the European Union and Switzerland. Additionally, EFIP also has observer members in Hungary, Serbia, Slovakia and Ukraine. Since 1994, EFIP has been the voice of the inland ports in Europe. EFIP highlights and promotes the role of inland ports. EFIP actively follows all developments in the field of EU policy that is of importance to inland ports and represents the inland ports vis-à-vis the European institutions and other international bodies. EFIP offers its members the possibility to exchange information, expertise and best practices with colleagues in other countries. For further information, please contact: info@inlandports.be or check our website www.inlandports.eu.